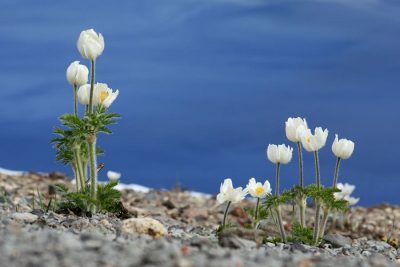 March holds the International Day of Forests, World Wildlife Day, and World Water Day and I have been reflecting on the extraordinary privilege of living near and organizing small group adventures to one of the deepest and clearest lakes in the world. 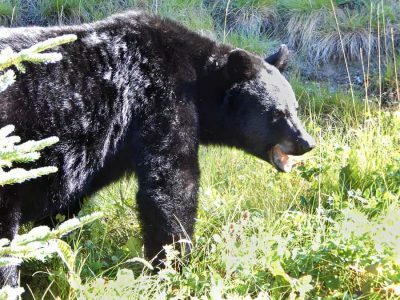 It is a bit off the beaten path, but well worth the beautiful drive into Crater Lake National Park, and on our tours we add in stops along the way that highlight the wilderness of the surrounding region. No matter how many times I have seen its image on post cards, t-shirts, paintings and even currency there is nothing, not even having seen it before, that prepares me for the way Crater Lake takes my breath away. Standing on the rim looking out nearly 5 miles across the basin, the water is so blue it’s startling. This tranquil view is the result of a volcanic explosion that blew the top off Mt. Mazama 7,700 years ago, creating the deepest lake in the United States (number 2 in the western Hemisphere). If you look closely you will see that Wizard Island contains a small crater of its own created in the aftermath of the first explosion, this is one of my favorite features, like an artist study of the main work. 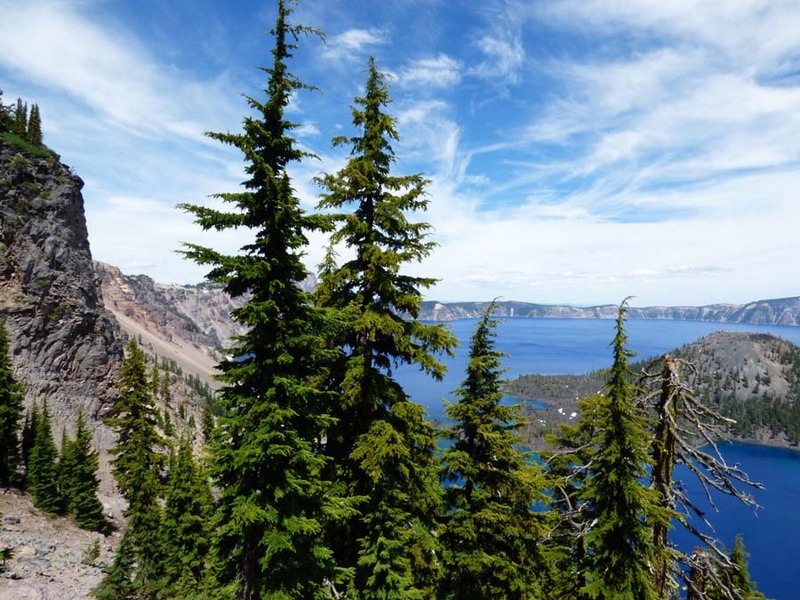 Traveling here on a small group tour is a great way to enjoy the serene beauty, and learn about the natural and cultural history of Crater Lake. The park, founded in 1902 protects not only the lake itself but 183,224 acres of old growth forest, alpine meadows and rocky peaks. 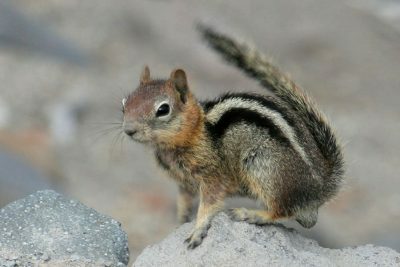 The park is home to a wide range of wildlife including, elk, black bear, bald eagles and snowshoe hare. Of course great respect for this natural wonder dates back far before the efforts of European American conservationists who began working to preserve it soon after it’s existence was published. Native peoples have been visiting this site since before Mt. Mazama erupted nearly 8,000 years ago. This cataclysmic event is still held in the institutional memory of Native American tribes in this region, told of in folklore. When we visit with our adventure tours we take the time to hear the archived telling of the Makalak Native American legend about a great battle of gods, in the film The Crater Lake story, shown in the park. It is no wonder Crater Lake has been considered a place of great power by natives in the region such as the Makalak (whose descendants, the Klamath, still live in southern Oregon) in fact, it was held to be so sacred that the lake’s existence was not shared with European explorers, who didn’t discover it for themselves until a gold mining expedition out of Jacksonville Oregon that chanced upon it while searching for a mining claim in 1853. It’s a bit of a hidden treasure and we like to feature it on our tours through Oregon and the Pacific Northwest. Whether you pair it with wine tours, coastal tide pools and pioneer culture with the Oregon Trail Dreams Tour, explore a beautiful variety of Oregon’s landscapes including the best ski destinations in the depths of winter on our Oregon Winters Tour, or enjoy a huge swath of the western US highlights from San Francisco, California to Seattle, Washington with the Pacific Northwest Explorer, Crater Lake is always a special treat.